Imagine this with way better toppings. Most of McDonald’s fancy burger experiments have met very sad ends. The Big N’ Tasty, the McDLT, the Arch Deluxe—remember those? No, of course you don’t. But the keepers of the Golden Arches are nothing if not persistent. To test future product ideas, the company has rolled out a build-you-own-burger experience at several California restaurants. There, burger eaters use tablets to customize orders with atypical Mickey D toppings, like tortilla strips, guacamole, grilled onions or mushrooms. There’s even an option to swap in a “buttered, toasted artisan roll” for the classic soft and squishy bun. According to Bloomberg, McDonald’s goal is to gather enough information to make a fancy new burger a success. Think of it as a crowdsourcing a burger without the crowds’ knowledge. Moves like this from McDonald’s, the possibility of a billion dollar IPO for Shake Shack and the rise of well-sourced ingredients at places like Chipotle are good indications that Americans are becoming more and more fed up with lousy fast food. 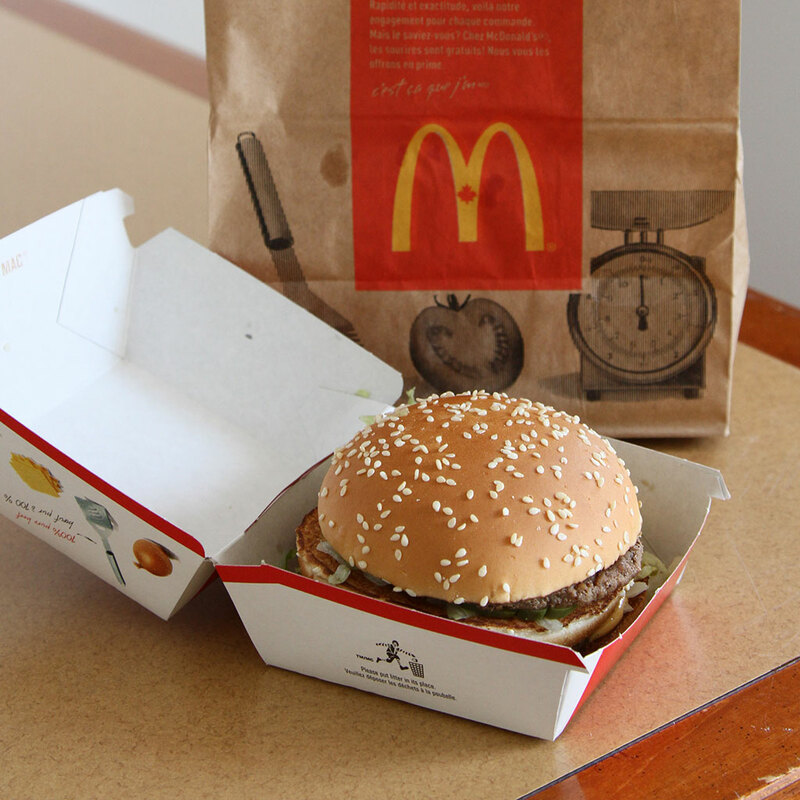 So will a few upscale toppings on a Big Mac save the struggling fast-food giant? We won’t know till we see how customers react to any McFancy burgers that may come from all this. But if the company’s previous new-product launches are any indication, trying to crowdsource a hit may be an exercise akin to rearranging pickles on the Titanic’s buffet.